With the details of their upcoming seventh studio full-length album, Ecate, having been recently unveiled, Italian mystical doom trio, UFOMAMMUT, finally announces their official first-ever tour of North America today, something diehard fans of this colossal outfit have been awaiting anxiously for years. Now more than fifteen years into their time together as UFOMAMMUT, the band's only prior US outings were two live shows in Los Angeles and San Francisco in 2009 in conjunction with their crushing Idolum LP. 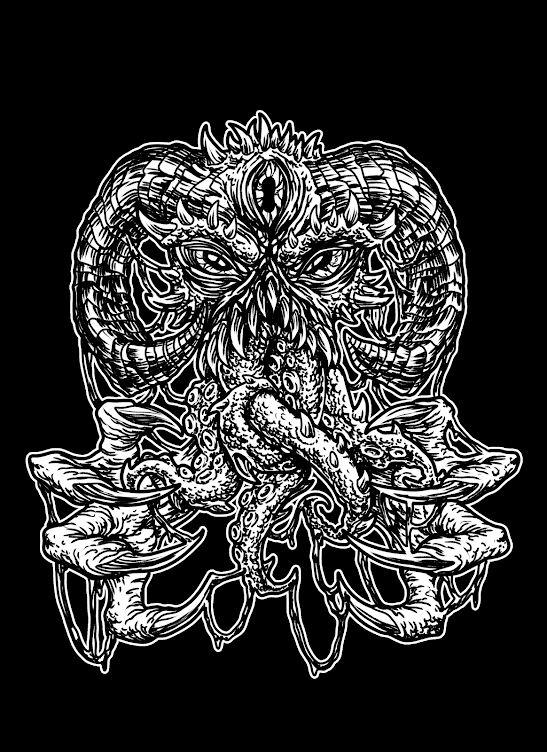 Since Idolum, the band's popularity has grown exponentially, through the magic of their Eve LP, their signing with Neurosis' label, Neurot Recordings for the 2012 release of their two-partORO LP, and their following 2013-released XV DVD through their own Supernatural Cat Records. The desire to witness the outfit crafting its psychedelic and decimating craft in the flesh has become nearly overwhelming for stateside fans, but a shift in the tides this Spring will bring a major change as the trio invades American soil for their first-ever widespread US tour in the months ahead. 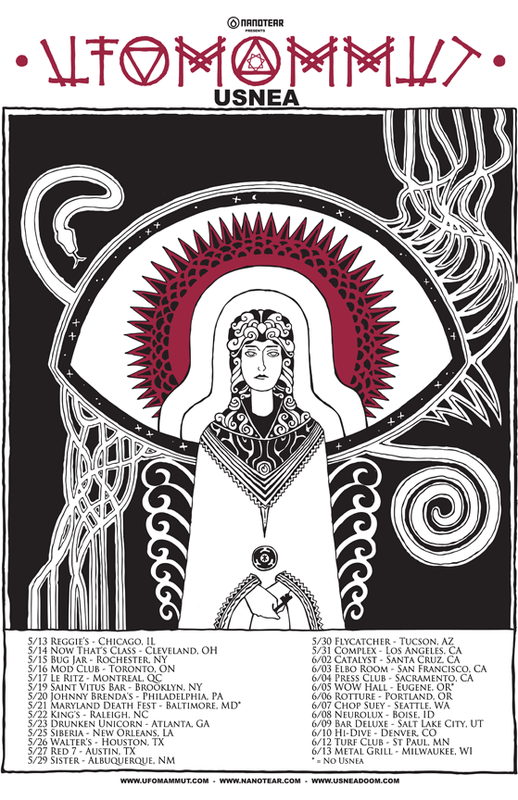 Initiated by their anticipated performance at this year's Maryland Deathfest with lablemates Yob, Neurosis and countless others, UFOMAMMUT's month-long North America Spring 2015 tour has now been declared. The trek will begin in Chicago on May 13th, with Relapse Records' crushing Portland, Oregon-based cosmic sludge quartet, Usnea, providing direct support for the entire tour, which comes to a close in Milwaukee, Wisconsin on June 13th, including two shows in Canada. The trek will be preceded by a European tour alongside the UK's Conan, consuming the latter half of April and including appearances at both of this year's Desertfest events in London and Berlin. Today also sees the release of the fourth video episode into the making-of UFOMAMMUT's new album, Ecate, set for North American release on March 31st through Neurot Recordings. On the follow-up to their acclaimed ORO album, the trio takes a confident step forward with their craft, orchestrating atmospheric processions that take the six songs on the album to places as-of-yet uncharted, the only guide being that of Ecate, the three-sided goddess who moves between the realms of the living, the dead, and the gods. The latest installment showcases the layering of the dense guitar tones, as always with sound wizard Lorenzo Stecconi, for these sessions using his mobile studio at SOMS "Il Progresso" in Sarezzano, Italy. Watch Ecate's guitars become realized with episode four RIGHT HERE. Catch up on the recording of the drums, bass and more with part 1, part 2 and part 3 as well.